Ursula Kwong-Brown (b. 1987) is a composer, political activist and scientist from New York City. Described as “atmospheric and accomplished” by The New York Times, her work has been performed in diverse venues including Carnegie Hall, le Poisson Rouge, Miller Theatre and the Manhattan Movement & Arts Center in NYC, and the National Portrait Gallery and the Victoria & Albert Museum in London. Ursula received her B.A. from Columbia University in 2010, graduating with honors in music and biology. After doing neuroscience research for two years, she decided to change direction and moved to Berkeley, CA to study music. 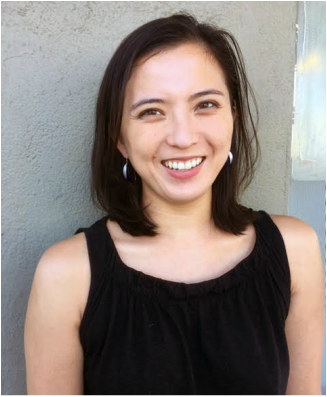 Ursula graduated from UC Berkeley in May 2018 with a Ph.D. in Music Composition & New Media. Subsequently, she decided to move back to NYC and return to neuroscience. She is again working in Darcy Kelley's laboratory at Columbia University and also teaching MIT Media technology to kids through the program ﻿Robofun﻿. She has remained active as a composer and is currently a Berkeley Sounds Composer Fellow with the Berkeley Symphony and an artistic director with the Bay Area-based Composers, Inc.
Fall 2019 - Very excited to be one of three composers selected for the Pacific Chorale Choral Sketches Workshop!